Musical Cat Water Globe From Jim Shore. 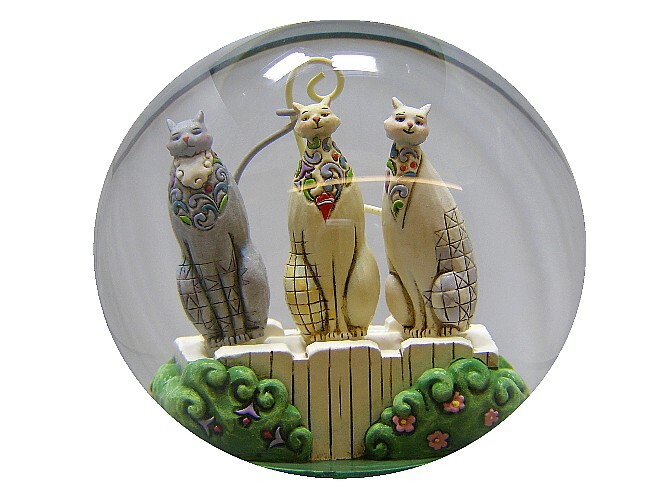 A beautiful cat water globe figurine. 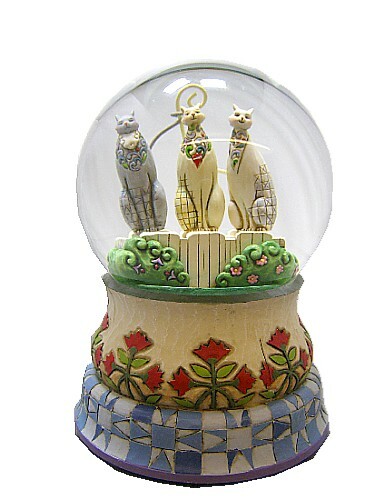 This is a beautiful three cat water globe musical figurine, fitted with a clockwork music box movement. The cats sway from side to side as the music is playing. This water globe is from the "Heartwood Creek" collection from Jim Shore and Enesco,and features rich colorful hand painting in a traditional "old-fasioned" style which is sure to rekindle warm thoughts from years ago. Tune : Let Me Call You Sweetheart.